Pinterest A Grateful Life Lived: A Book Review: "Practicing His Presence"
For my graduation, I was blessed with a few gift cards to a local Christian bookstore, and I knew I wanted to pick up some good reading material before leaving for college. 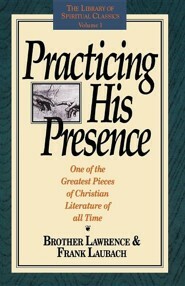 I bought two books, one of which was: "Practicing His Presence." I had read some of my dad's copy of "Practicing the Presence of God" but this book was different. It includes writings of Brother Lawrence but also those of Frank Laubach that I found equally compelling. A short read, "Practicing His Presence" is absolutely packed with spiritual insight on how to draw nearer to God through our everyday thinking. It is one of the most helpful Christian books I have ever read, and I would recommend it to anyone seeking a deeper relationship with Christ. The driving theme of the book is just that, practicing God's presence in our daily lives. The idea is that God can be in every thing we do, and we can train our minds to meditate on him constantly, bringing us further into full joy with Christ. Frank Laubach gives a practical application: "Select a favorable hour, and easy, uncomplicated hour. See how many minutes of the hour you can remember, or touch, Christ at least once each minute; that is to say, bring Him to mind at least one second out of every sixty. You will not do so well at first but keep trying, for it constantly becomes easier, and after a while is almost automatic (Laubach 32)." I tried this myself (read more about it HERE) and found that it is a delightful pursuit. For much of my life, I have battled against the temptation to seek perfection and control, leading me to trying to "do" all I can to earn love. That is not at all the idea behind practicing God's presence though. It is a holy and deeply peaceful pursuit of more of God. 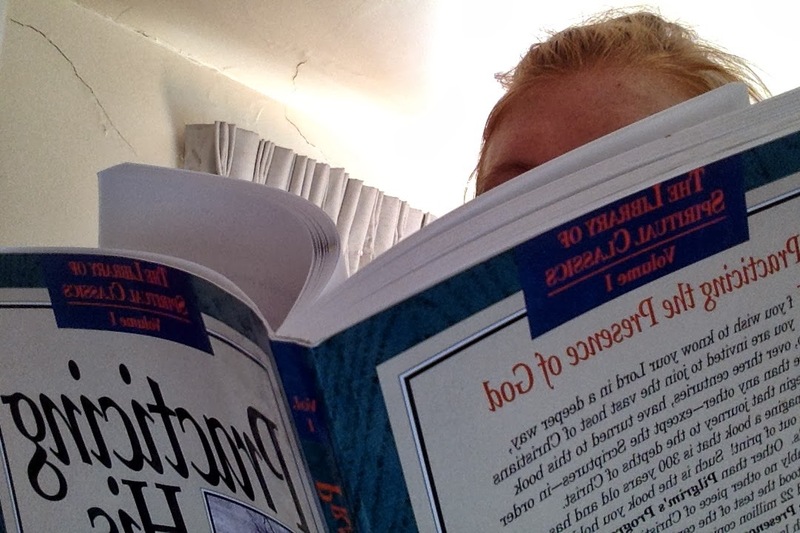 I found myself relaxing rather than striving in the experiment (as Laubach calls it). There is a clear goal in mind when practicing God's presence. "You may not win all your minutes to Christ, or even half, but you do win a richer life...We develop what Thomas a Kempis calls a 'familiar friendship with Jesus.' Our unseen Friend becomes dearer, closer and more wonderful every day (35). It is the absolute truth. As I have gone through this book, I've gained practical knowledge that has radically changed my walk with God. It's plain Christian fact that God is with us wherever we go. Yet, I dare to ask: how many of us live that way? How many of us have pure joy in the midst of trials because we are so in tune with God's heart? How many times do we forget our very purpose for the trivial things of this world? I stand among you when I ask those questions, realizing through this journey that I am very quick to ignore God when life comes my way. I let my emotions take control, people take control, temptations take control. So much of this frustration and trial can be avoided if we fix our mind on Christ. The uncontrollable trials we do have can become dim in the light of Christ. "What shall you do in your present straits? Constantly, incessantly offer your pains to the Lord...just adore Him..God seems to have endless ways of drawing us to Himself (92)." I encourage you to read "Practicing His Presence. The wisdom in this book is poured forth in the form of letters and excerpts, which exude the remarkable joy that God's almost-constant presence has brought to Laubach and Brother Lawrence. The joyful hope in "Practicing His Presence" is what first prompted me to buy the book after reading a few pages at Lifeway. It is also what prompted me to try this "experiment" out for myself. God's presence really is right there for the taking! He wants us to seek more and more of him. In response, he reveals more and more of himself. He takes us on a wild adventure of faith that far exceeds any earthly pleasure and "Practicing His Presence" is a great example of that faith in action. I got involved with house church people for awhile some years ago, & discovered this book through them. Through that experience I also found one of their heroes, Gene Edwards. Gene has written some essential books himself, such as A Tale Of Three Kings (highly recommended).